THOUSANDS of jobs are set to be lost after Japanese car giant Honda today confirmed plans to shut its factory in Swindon. The factory employs 3,500 workers, but at least as many work for companies across the country that supply Honda with parts and services. One such firm, Kasai, manufactures interior components for Honda and Nissan, with a plant in Merthyr Tydfil employing 200 people. Honda remained tight-lipped yesterday when the news started to break – as reported by Car Dealer – but today it confirmed the reports, although it said that Brexit was not to blame for the decision. However, union officials and opposition MPs said it was obvious uncertainty over the UK’s future trading relationships played a part. The manufacturer said: ‘This proposal comes as Honda accelerates its commitment to electrified cars, in response to the unprecedented changes in the global automotive industry. Honda said that under the proposed restructure, the current role of its UK manufacturing business – known informally as HUM – may no longer be viable. Katsushi Inoue, Honda’s chief officer for European regional operations and president of Honda Motor Europe, said: ‘In light of the unprecedented changes that are affecting our industry, it is vital that we accelerate our electrification strategy and restructure our global operations accordingly. 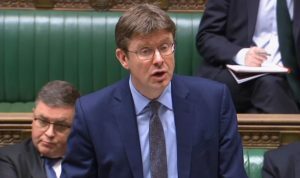 Business secretary Greg Clark said today the decision was ‘devastating’ for Swindon and the UK, adding that it underlined the importance of striking a Brexit deal. Addressing the House of Commons, he said: ‘We will go on making sure that the argument that manufacturers put for a deal to be concluded swiftly is something that is heard loud and clear. Decisions like Honda’s this morning demonstrate starkly how much is at stake. ‘This news is a particularly bitter blow to the thousands of skilled and dedicated staff who work at the factory, their families and all of those employed in the supply chain. ‘I will convene a taskforce in Swindon with local MPs, civic and business leaders as well as trade union representatives to ensure that the skills and expertise of the workforce is retained, and these highly valued employees move into new skilled employment. 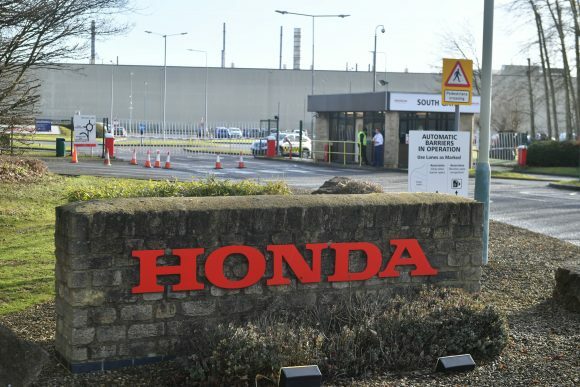 Unite national officer Des Quinn said: ‘We acknowledge the global challenges that Honda has outlined in its statement, but we don’t accept that this plant, with its highly skilled and dedicated workforce, does not have a viable future. ‘We are now entering a period of meaningful consultations with the management to examine in detail the business case put forward by the company. ‘We will leave no stone unturned to keep this plant going and its workforce in employment. ‘While Brexit is not mentioned by the company as a reason for the announcement, we believe that the uncertainty that the Tory government has created by its inept and rigid handling of the Brexit negotiations lurks in the background. Shadow business secretary Rebecca Long-Bailey said: ‘This government has failed to create an environment of business confidence. The Tories’ austerity programme has failed workers and businesses, and they continue to show a total lack of vision or plans for investment in our future. Earlier this month, Honda said it would be axeing temporary jobs at the plant, while last month it said there would be a six-day shutdown immediately after Brexit.